These days, we’re all so techy. We have so many gadgets. iPads, Kindles, you name it, we’ve got it. What you may not have is a cute, trendy way to carry those gadgets around. Well, the eClutch, by Schoolhouse Patterns, is exactly what you need. 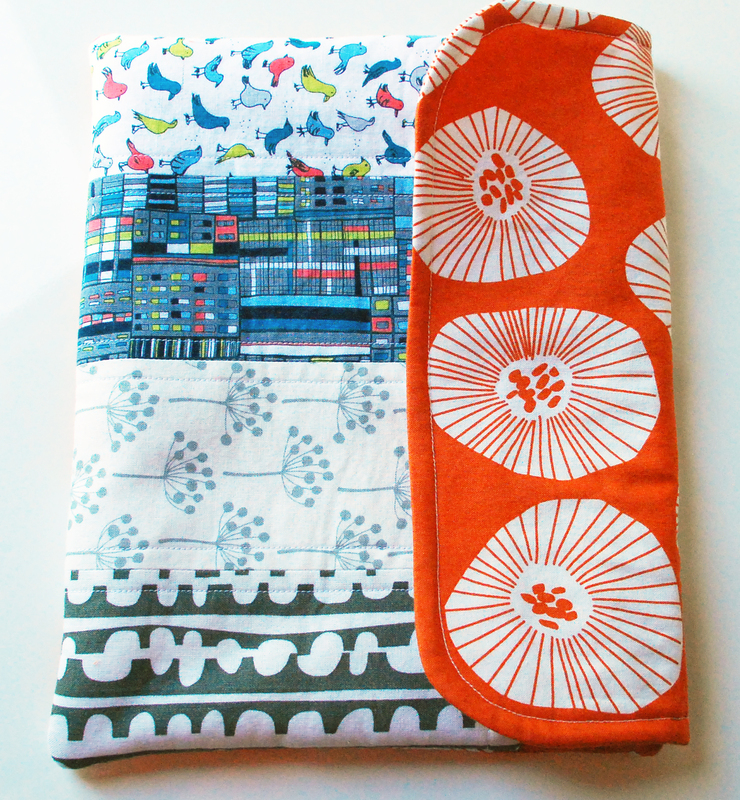 The eClutch is a sleeve for your ereader or tablet. 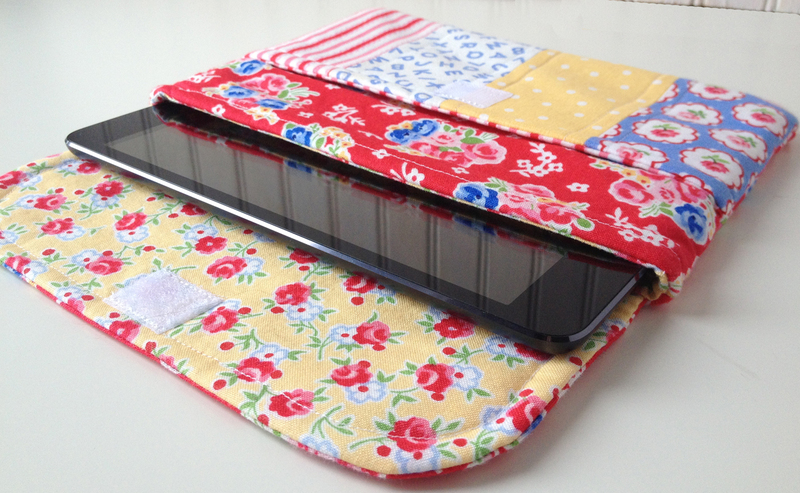 There is a lovely patchwork pocket on the front, perfect for holding your earbuds, stylus and charging cables. It has a flap closure with velcro to keep it closed. The eClutch sewing pattern includes instructions for a sleeve to fit iPad, iPad Mini & Kindle along with other tablets, I’m sure. Check the measurements for your device to see if it would fit into one of the sizes included in the pattern. 3/4 yard fabric, 1/2 yard fusible fleece, fabric scraps for patchwork and some velcro. The pattern includes instructions and pattern pages needed to complete the eClutch. This pattern is available in PDF form in my Etsy Shop.